For many of us parents making sure our children have enough to eat to grow strong and healthy is a main part of being a parent. From the very first time they are breast fed or have a bottle until they are older enough and equipped with the skills to feed them selves children, eating and stress go hand in hand. So what’s it’s like when you have a child with ADHD and they are on medication to help them but a main common side effect is loss of appetite and weight loss? 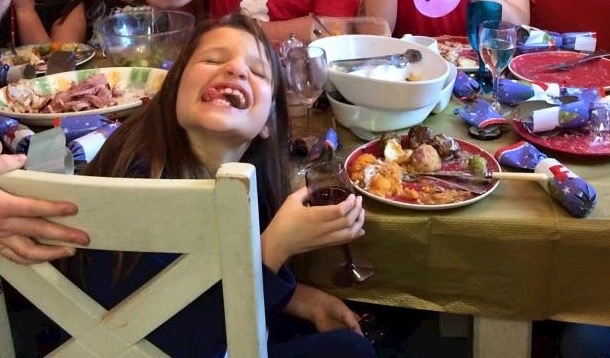 What’s it like to try to coax a mini me into trying to eat while making sure they get all the vitamins and protein they need to grow while keeping anxiety and tears to a minimum? It’s hell on earth as am sure other parents can relate. The won’t eat, can’t eat is an apt phrase in our house. Get rid of the medication I hear you say…. but what if the medication is what gives your child a shot at a “normal ” life where they can try and fit the social norm? Bugger that I give my daughter that tablet every morning because it helps to settle her mind, it helps to curb the impulsiveness that could ultimately put her life in danger. That medication allows her to learn to communicate with us and the world around her and it gives her the gift of learning. Isn’t that what we all want for our children. But it’s a well documented fact when you start looking that eating habits while on any of the 5 drugs used to treat ADHD are affected. If this is the case then why is there not more support out there for parents? Why do we have to watch our children get thinner and thinner before they are given help and advice? I don’t know the answer to that question but as a parent here’s what I have learnt over the last 4 years. Breakfast is the best meal to get a good meal into them. We have scrambled eggs easy to make and full of protein also bacon sarnies, yoghurts and cereals. Breakfast really is the most important meal of the day. Here’s some more of what I use but it’s really hard especially when you have other children so don’t always give in at tea times and only make what your Child with ADHD will eat. Mix it up and get them to help. Also maybe make tea a little later so the medication wears of Oh and be prepared for midnight snacking!!!!! Left overs in the fridge never last long in my house. Cheese ( if no dairy intolerance ) on anything and everything chicken and cheese with chips or mash is a favourite. 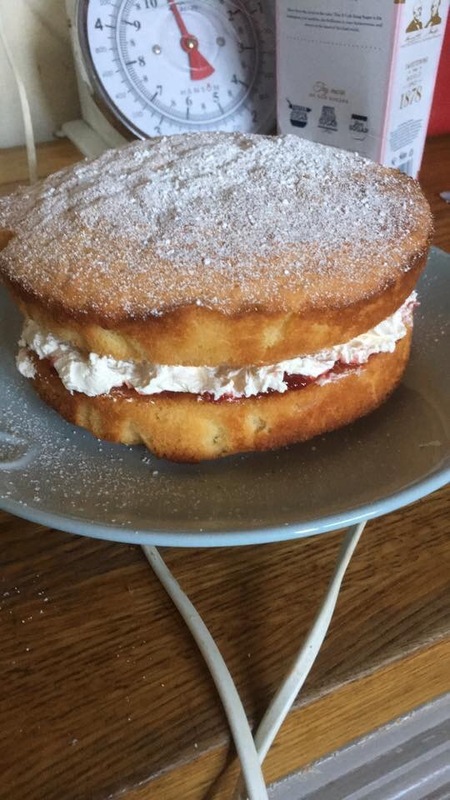 Home baked goodies – I have found recently that when I bake she eats non stop banana loaf and gold digger buns from a children’s cook book are the best. She says she likes mummies food better and for some reason she will eat it. Avoid chocolate and sweets – this is hard if you have a child who loves chocolate and yes they are full of calories but they are empty ones and don’t last long. Puddings like Apple crumble and custard, jelly, chocolate raisins are a good compromise and more calories. Snack box – my daughter had one at school she can use discreetly and one in her bedroom. Full of raisins, digestive biscuits and dried fruit and nuts. If you can offer a mix of different things for tea and put in separate bowels for your family and child to choose from. I find this helps to increase confidence and she is more likely to eat more as she is given a little more choice but I control what is cooked. We recently saw a dietitian as my daughters weight has fallen to the 20th percentile and I am scared out of my mind as she is not growing properly. It’s only when you sit down and list everything they eat that you see how much you are doing your best. Also I realised that although my daughter wasn’t eating a lot in the day boy was she packing the calories in at night. The dietitian said this was fine and that midnight feasts are a way of the body saying it needs more calories/food and energy. Sitting here listening to the steady beat of the raindrops outside I am transported to a place of quiet and relaxation and harmony. Hang on a minute its the half term holidays!!!!! whats going on even when my other three children are outside playing my daughter with ADD is always about hanging on my every word, movement, talking non stop, being bored wether she is medicated or not as she does not cope well with the change in routine that is the school holidays. Heart in mouth I literally leg it downstairs and then stop dead. When will I learn….its nothing bad. You see 30 minutes ago I came upstairs while she was starting another one of her art projects. Art is her passion she loves to draw and make and show. Biased mummy that I am I even have some of her pictures on the wall framed. So amongst the turbulent feelings that split second of realisation has caused I realise I left my daughter to do arts and crafts and as far as I know she is still there. Of course this does not stop the panic… having a child who is impulsive means hardly a minute goes by without me worrying what she is going to do next and even though she is nearly 11 that has not changed, factor in the memory, concentration and emotional factors of ADHD/ADD its hard to grasp this alien concept that means she can stay focussed and in one place for more than 5 minutes. Art is definitely a Focus…. I can see why this symptom of ADHD could be misinterpreted. Heck I didnt even know it existed until I started a course in ADHD awareness. I was never told by the ADHD nurse about Hyper focus. I spent moments grappling with my decision to medicate and attend appointment’s when this symptom popped up, was I wrong was she in fact fine and not have a neurodevelopment disorder?? I thought she was just being stubborn. Talk about learning something new everyday and giving your self a heart attack. There is no way I would have put Hyper focus as part of the ADHD. What does Hyper focus mean for my daughter and us? Firstly hyper focus affects us all. This peculiar symptom of ADHD can cause arguments and stress within the family. My daughter is so focussed on the task at hand that sometimes its a real struggle to get her to move onto something else. In the case of art work this is fine I don’t mind her doing art for as long as she likes as she is expressing herself and learning from the environment but its when the hyper focus gets stuck on things like the maths games on the laptop. Again you would not necessarily think that would be an issue but when she is so focussed on finishing first one level then the next and so on and so on it is very difficult to try and get her to relinquish the laptop so that she can do reading which is just as important for her to do as it builds her knowledge of language and aides her language skills. Plus she becomes completely shut of from the world around her and as the definition says very absorbed, yes she is quiet but she also can’t answer questions and can become angry and frustrated if the laptop is taken away as it is every evening at least an hour if not more before bed. Hyper focus can be viewed by some as an amazing ability and it is when its in the right context and its something that empowers my daughter. The amazing confidence and love that she has for the art that she does is an amazing thing. There are times that I love to sit and watch the magic take hold of her. Watching a picture emerge and seeing the focus and dedication she gives the project to make it the best she can is amazing. But for those of us around a child or adult who has it its also frustrating, annoying, upsetting, it winds up siblings, it quite frankly winds me up sometimes. Nasty arguments that can start as a result of someone trying to join in with my daughter are not for the faint hearted. Its almost like she is startled out of a trance and that invokes all sorts of feelings to bubble up due to the interruption, her concentration is broken and it can feel like hell on earth. So Super power or not? I think that it is a super power if it can be directed in a positive way but as with everything there will be days when the super power strikes and its the villain not the hero who has come out to play and to be honest i am not sure how I really feel about that…..
ADD Our way…..Holistic Therapies can They Help? When it comes to therapies in my mind the best ones are the Holistic ones. In situations where your child’s disability is not deemed significant enough for therapies through the health care system or if alternative treatment options are not offered or available Holistic massage is an avenue I would recommend. Massage is a fabulous therapy suitable for nearly all. Massage therapies are about healing the body and the mind using positive touch to receive tension and relax allowing the body to heal itself. They have not only helped my children in ways explained below but they have also given me a purpose, something to concentrate on and a way to contribute to other parents and children living with disabilities. As a parent trying to do the best for my children is always at the top of my list. I am their protector, their teacher as well as their mother. For me having disabled children has had a profound effect on who I have grown to become. Before the disabilities I worked full time, I then had children and went back to work part time. Work fitted around children until it came to the point where work no longer fitted around the myriad of hospital appointments. After finding Holistic therapies I decided to train in Holistic Massage with the main purpose being to aide mine and other children and their families . As a parent I had never really considered the benefits of massage before, I used to have reflexology on my feet whilst pregnant but that was as far as my knowledge went although I was always intrigued as to how a therapist could tell I had a bad back from my feet and I always found it relaxing and felt better in myself afterwards. Massage has long been documented as having a profound positive effect on the mind and body as far back as 3000 years especially in the East. 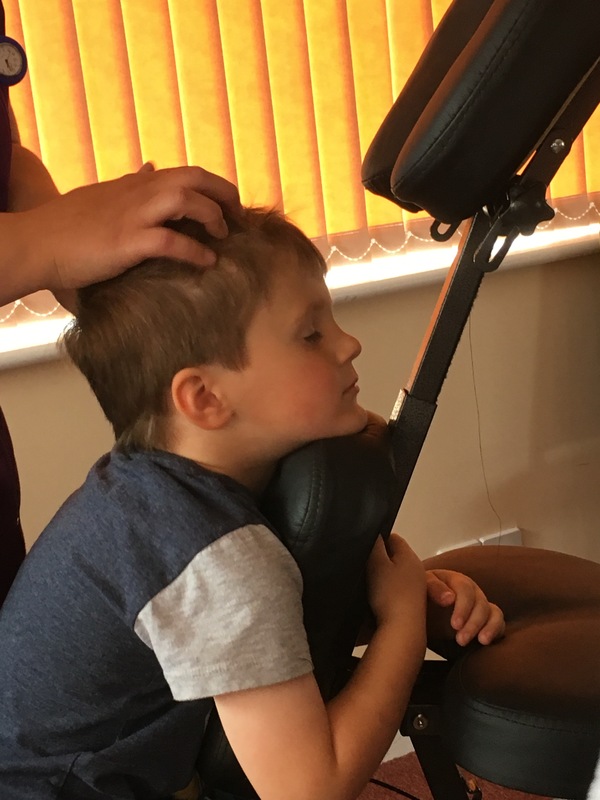 There are lots more benefits for massage but for a child with ADD these are the most important benefits that they can receive from Holistic massage. My daughter has had regular holistic massage now for two years and while it is by no means a cure it has helped her considerably in times where nothing else has worked. Massage relaxes and calm’s which when you are on the go all the time and your mind struggles to switch off can be a god send. By relaxing and being able to settle her mind my daughter finds that her concentration unmedicated can improve as well as her overall wellbeing. I have found that my daughter can hold a lot of tension in her shoulders which leads to back and neck pain and headaches. Since having regular massage these symptoms have almost disappeared. Don’t get me wrong there are some days where massage just does not work or it can take an hour just to get her to sit still long enough but once she does the benefits far outweigh the negatives. My daughter is never forced to have a massage it is her choice and one that even as a parent I ask her permission. As a therapist I am client led which means I follow their lead. Massage should never been seen as something to be forced into but as a choice that the child can make for themselves. This chance to make a choice themselves empowers them and can lead to increased confidence. Another great therapy that we have found works well is Story Massage. This is where we put 10 easy and simple massage moves to her favourite songs and stories and the effects are positively fab!!! This type of Massage therapy is one the whole family can get involved with and can have a positive effect on family relationships especially the relationship between siblings which can be charged and strained at best. It gets the whole family having fun while using positive touch to bond. Something which can be difficult in todays society. 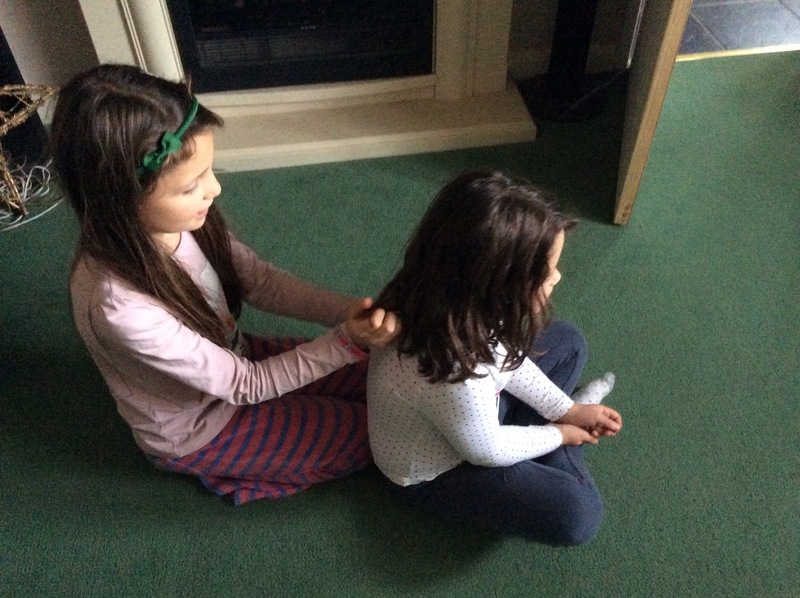 Story massage also gives my daughter a voice, a way to channel her feelings and it enables her to tell me stories she has made up or how she is feeling as she is talking while giving me a massage……yes mums can have a story massage too!!! !